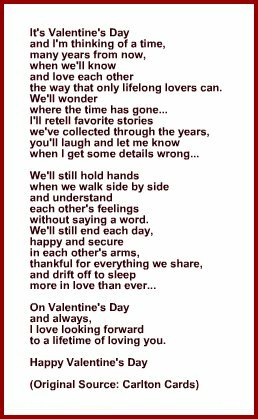 Are you looking for a Love Poem or Verse idea for your Husband's/Boyfriend's or your Wife's/Girlfriend's Valentine's Day Card? Perhaps you are one of the growing number of people who make their own cards. 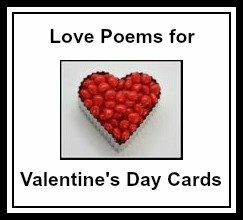 Everyone LOVES personal, homemade cards for Valentine's Day, for Mother's Day, Father's Day, and every other Special Occasion! Don't forget to check out the recipe ideas for your Valentine too! 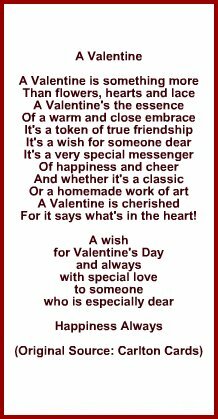 Whether it be a special breakfast, brunch, lunch or dessert, or a Valentine's Day Cake - home-made just has ♥ love all written over it! 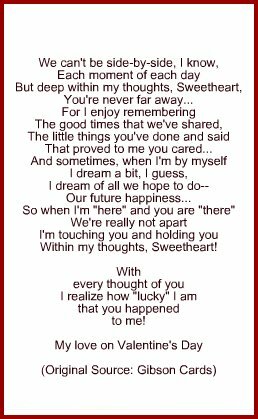 In our home, when our four children were young, they always made the most amazing, adorable, creative, homemade cards for myself, my husband, and for each other. 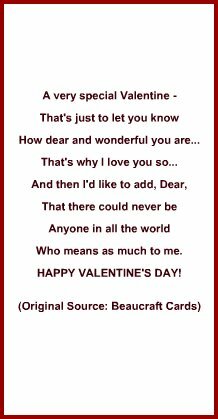 In fact I always looked so forward to those "made with love" cards, that any gift that accompanied the cards were secondary. Home-made cards are the best! 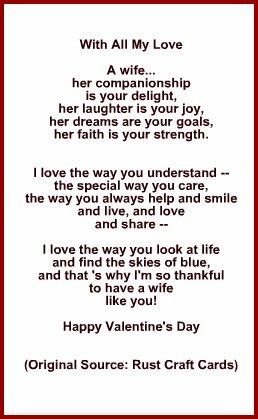 Every card my husband has ever given me, and every homemade card that our children have created for us, I have kept. 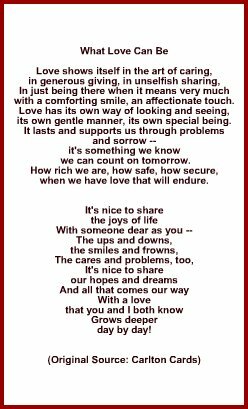 Pouring over them from time to time is so refreshing, and heart-warming, especially the personal poems and verses ... priceless memories of the past! Of course, I am not going to share any original content from any of my cards on this site. 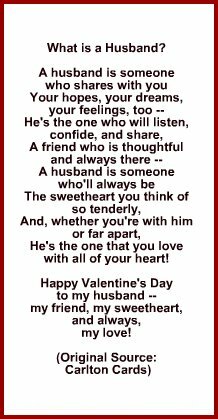 However, to help those of you who make their own cards for their spouses, and are searching for some hints or ideas for a suitable verse, I have included several verse examples for words from Husband/Boyfriend to Wife/Girlfriend, and Wife/Girlfriend to Husband/Boyfriend, that you can adapt for your own personal card with a message of Love! 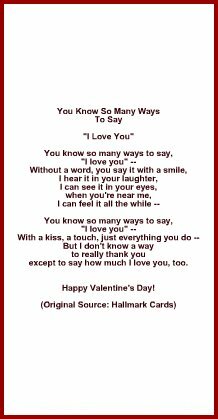 If you choose to use one of these, or another verse or poem you find online, be sure to add a bit of original words too, words from the ♥ heart...because they are the ones that are the most important, and that will mean the most to the recipient!